Discriminating dogs everywhere - and the people who love to give them treats - choose our original Doggy Pops. Real peanut butter and rawhide chews combined to make an irresistible taste dogs beg for again and again. Dogs absolutely love the taste of Doggy Pops. Another nutritious premium dog snack from the James Valley Company. Imitators can't match our quality or our taste. 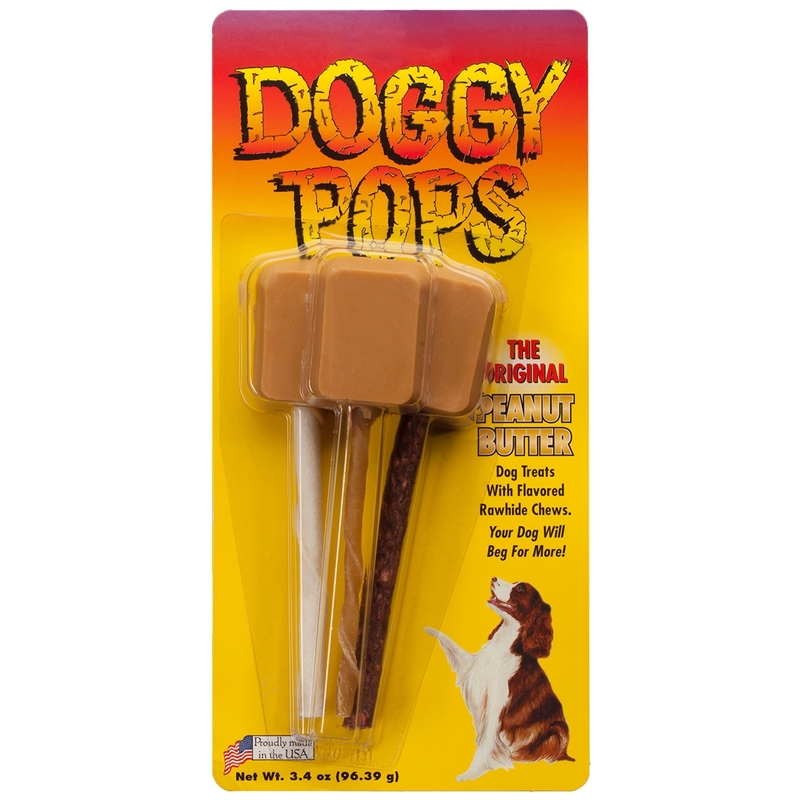 We have spent over ten years perfecting our formula for Doggy Pops. Accept no imitations! Choose the original. Choose Doggy Pops.